By the end of the year, over a quarter of the restaurants in your neighborhood will close their doors permanently. They close for a variety of reasons, from rising food costs to low sales and even just simple boredom (not every restaurant that closes is unsuccessful). With that said, even a restaurant with excellent staff, tasty food, and a great atmosphere can lose out simply due to stiff competition in their neighborhood. In other words, there's plenty of restaurants that keel over and die, but there's plenty more that fight like dogs and still struggle to make it in the restaurant business. If you're the latter, it's important to know every available advantage and tool you have at your disposal that can help you to elbow your way through the competition and come out on top. One of these tools is a mobile app. Generally, we think of mobile apps as programs to make us more productive in our lives, or games to make us less so. For small businesses and restaurants, however, apps are an entirely different ball game. Both your restaurant and its customers can benefit from developing a mobile app in a world where mobile technology has taken over. Your restaurant will experience more repeat diners, while customers will enjoy mobile food ordering and table reservations, rewards programs and more. Here are the ten reasons that restaurants, cafes and other eateries should start considering mobile app development as a primary means to gain a leg up on the competition and grow their business. 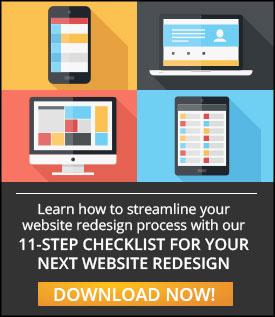 >>Download this 11-Step Checklist for your website redesign here! Not every restaurant offers (or wants to offer) takeaway or delivery options, but many accept reservations. Giving your most loyal customers the opportunity to place a reservation quickly, with a few taps of their mobile device, makes it an altogether more convenient experience. And, they’ll love the experience of walking by a busy waiting line with a table on reserve. If they forget to plan ahead with a reservation, they can swiftly make one as they pull up, saving them the time (and longer wait) of placing a reservation with the hostess. Again, there’s a boost to productivity, as mobile reservations are entered in automatically and don’t require a phone call or face-to-face conversation to coordinate. 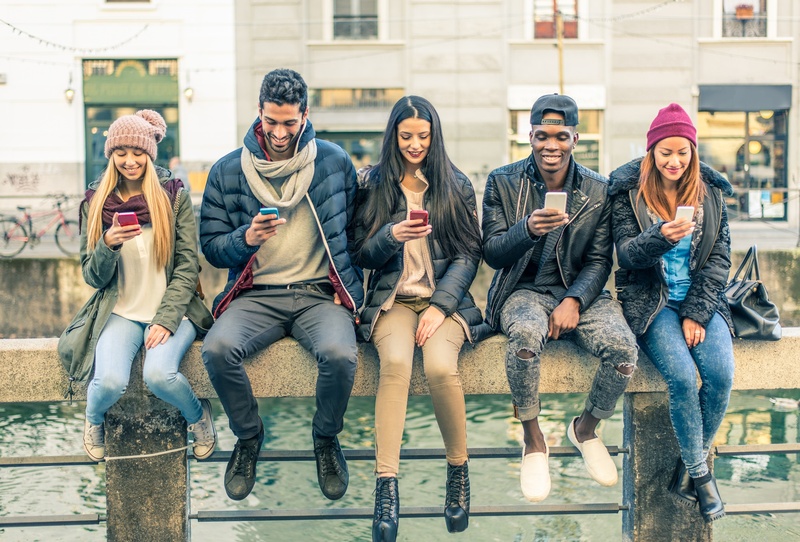 Today's consumers always have their mobile devices with them on the go, which presents an attractive opportunity for companies to market to their customers based on location. The most common manifestation of this tactic is notifying customers, when they've stepped into a store location, about today's deals and savings opportunities. Franchise restaurants also use location-based messages to notify customers when they are near a new location, which is ideal for attracting people while they are on vacation or somewhere away from home. These location-based services might feel a little 1984, Big-Brother-y, but you might not think about complaining when you walk into your favorite restaurant and get handed a discount just for showing up. These messages are commonly associated with location-based services because many push notifications are sent based on location. But, push notifications can also be used to showcase new menu options to customers or remind a loyal diner that they haven’t visited in awhile. These kinds of messages allow a restaurant to stay present in the minds of its customers. When they think about where to go out to eat, they’ll land on your restaurant before they remember your competitors. However, while many apps allow you to send unlimited push notifications, bombarding your customers relentlessly is a good way to have your app uninstalled from their devices. App-based loyalty programs are a great feature to have. They allow even a small business to graduate beyond the traditional (and largely played out) stamp-card loyalty program. A mobile loyalty program can enable customers to accrue points, which lead to bigger and better rewards, just like the reward programs offered by big box stores. And, because it is app-based, there's no fear of losing track of your points or accidentally sending your loyalty stamp card through the washing machine. The mobile environment allows a readily available way for customers to track their points, see available rewards and measure their progress in achieving those reward goals. The apps that do it well have customers that treat it like a game more than a loyalty program. Word travels fast in the always-connected Digital Age that we're in. Social media platforms are among the most popular channels for building buzz and getting the word out. Integrating a mobile app with your branded social media pages not only helps notify your customers that you have an app, to begin with, but it adds functionality and value to your mobile experience. People want to be able to share their experiences with others through social media and integrating these channels with your app allows them to do so without ever hitting the back button and exiting your mobile experience. Some apps even allow comments and discussions to be made, which can help stimulate conversations and interest in new menu items. More and more people are looking to pay with their mobile device, rather than pull out a card or even cash. Using third-party applications like Apple Pay or Google Wallet, secure transactions can be made without ever pulling out a wallet. These pay options are convenient for shoppers, especially Millennials and Gen X-ers who are seemingly attached to their phones surgically. Many businesses are scrambling to implement mobile-friendly POS systems and the infrastructure necessary to accept these types of payments. Incorporating these pay options into your mobile app is a double win. Using restaurant apps creates a lot of data, whether it be location-based data, information on which features users access most, what push notifications they respond to, what deals they take advantage of, etc. All of this information allows you understand each unique customer better. In turn, this allows you to provide a much more personalized experience to each one and ultimately improve all of your different tactics. 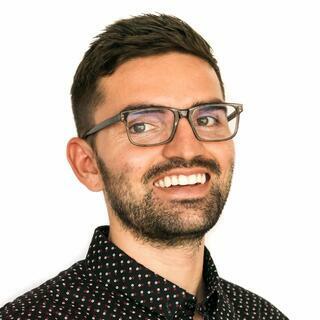 For example, if you know Jerry only responds to coupons discounting burgers and only eats at your restaurant on Tuesday afternoons, you can target the exact type of messages Jerry likes, at the exact time he is thinking about where to eat. Relevancy and timing are everything in the Digital Age. One of the biggest perks to developing a mobile app for your restaurant is simply staying current and competitive with the latest trends. Mobile apps aren't just on the rise; they are here and now. They're quickly approaching the status of social media, in that they are a becoming a necessity for businesses and restaurants that are looking to compete. By developing a mobile app, you're ensuring you meet the customer's latest expectations. The sooner you develop an app, the bigger the edge you can gain on your competitors, especially as this trend continues to throttle up. Arguably, what has kept many restaurants out of the mobile game is cost. At its inception, mobile development cost hundreds of thousands, which made it a luxury business tool. Luckily, there are now low- and no-code app building solutions that allow any small business to deliver their customers a mobile app at almost no cost. Thus, one of the few walls keeping smaller businesses out of the mobile game has finally come down and the time to build an app is now. Creating a mobile app for your restaurant or cafe is about giving the people what they want. Customers will appreciate the direct channel they have to your business and the added perks of having a mobile-based loyalty program, access to new, mobile payment options and all the other features encompassed in your mobile experience. Restaurants get to reap the benefits of better customer loyalty, higher retention rates and more data-born insight into how they can improve their tactics to reach each customer more efficiently. When a customer asks for another steak because they feel the first one was too overcooked for their tastes, it is an eye-rolling affair. Mobile development, on the other hand, is a case of giving the customer what they want and actually getting significant benefits in return. Seeking professionals for your responsive web design? Contact us here to discuss your website. Download this 11-Step Checklist for your website redesign here!